DimensionWidth : 40 cm Height : 75 cmLength : 75 cmColorWhite Features And BenefitsThis bin is perfect for storing large quantities of dry ingredients under counters or in storage areas. 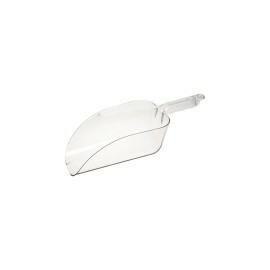 A durable lid is designed to lock in freshness while keeping contaminants out. 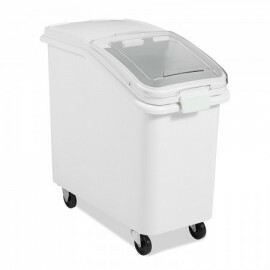 With an included scoop to help dispense your products, this ingredient bin..
DimensionWidth : 32 cmHeight : 75 cm Length : 75 cmColorWhiteFeatures And BenefitsThis bin is perfect for storing large quantities of dry ingredients under counters or in storage areas. 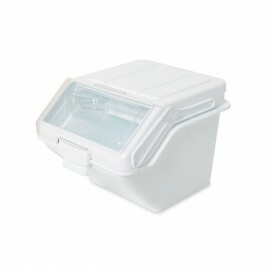 A durable lid is designed to lock in freshness while keeping contaminants out. With an included scoop to help dispense your products, this ingredient bin is th..
DimensionWidth : 30 cmHeight : 23 cmLength : 40 cmFeatures And BenefitsThis ingredient bin boasts an ample 12.6 gallon capacity and is the perfect addition to restaurant, bakery, cafeteria, and catering kitchens! Plus, by designating the scoop to one bin, you can help to avoid any cross contamination that may occur when using the same scoop for mul..